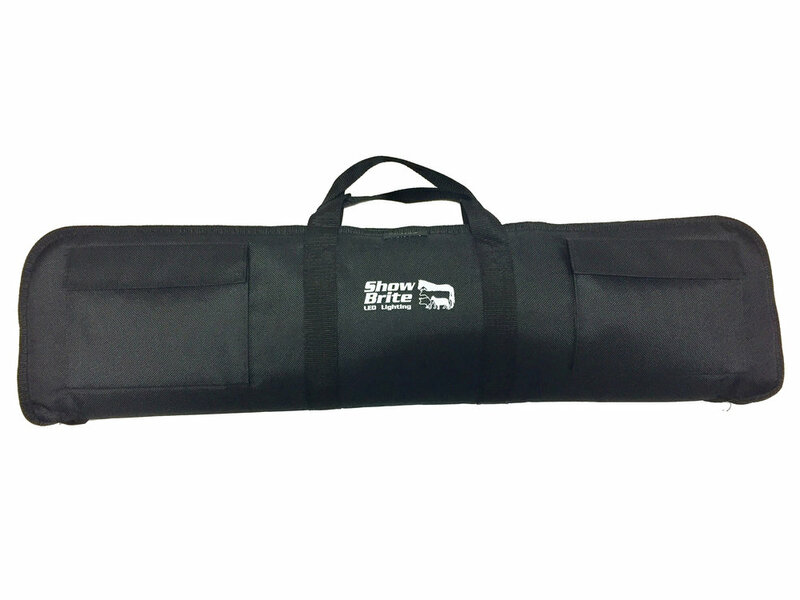 Show Brite is an excellent addition to ensure that your prize animals are ready for the judges. 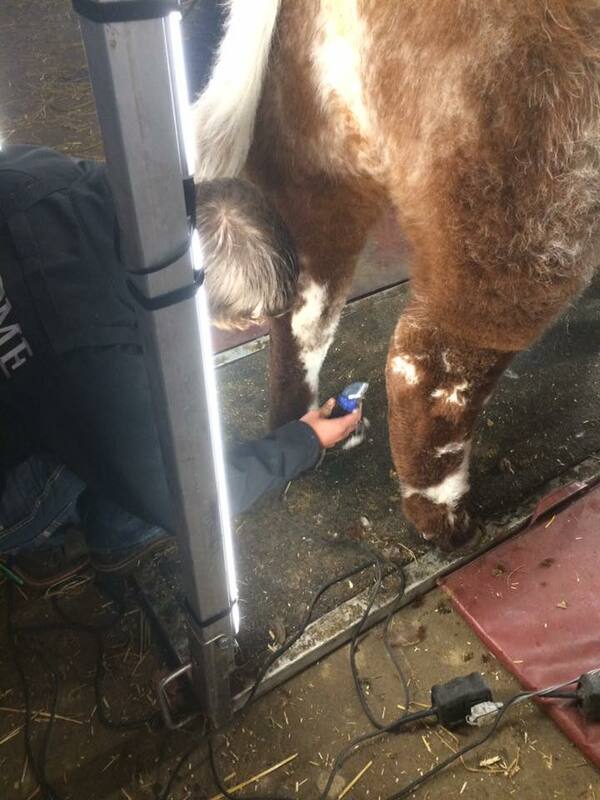 When quickly attached to your chute or stall, you will have 24,300 Lumens of direct, high output light where you need it, which is just what you want when clipping and fitting your calf. Show Brite’s durable aluminum and polycarbonate lens construction can withstand just about anything: mud, dirt, spray, dropping, and bumping. Short of a 1200lbs animal stepping on it, the solid state construction will not fail. With its half-life of over 27,000 hours, each Show Brite unit assures years of use. Backed by our three-year replacement LED unit warranty, you can be confident the quality will meet your expectations. 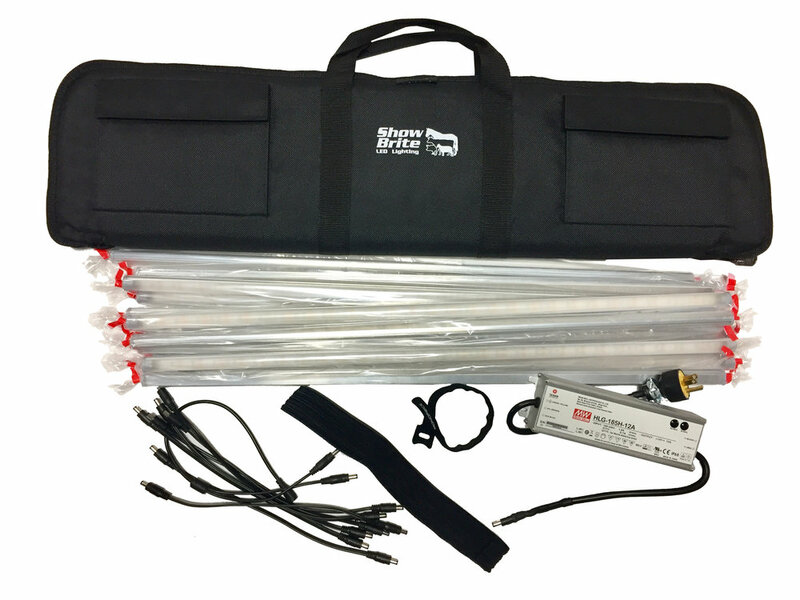 Each DLX Show Brite unit comes with a set of 12 high output LED lights measuring 29 inches each, making for 29 feet of light that does not produce heat. 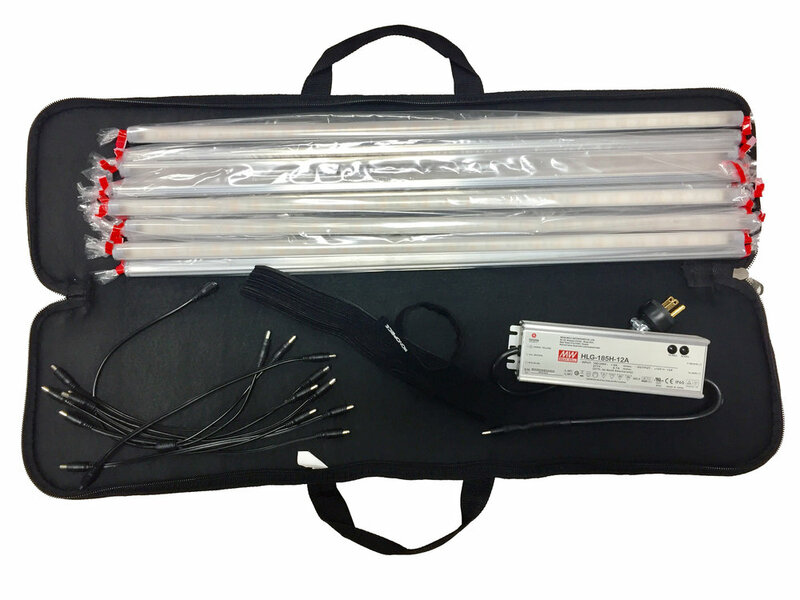 Show Brite LED provides everything you need to get started and all you need to bring is the power.